The idea was born from a casual conversation between local winemakers, Alan Limmer (then Stonecroft Winery), John Buck of Te Mata Estate Winery and Kate Radburnd of Radburnd Cellars. 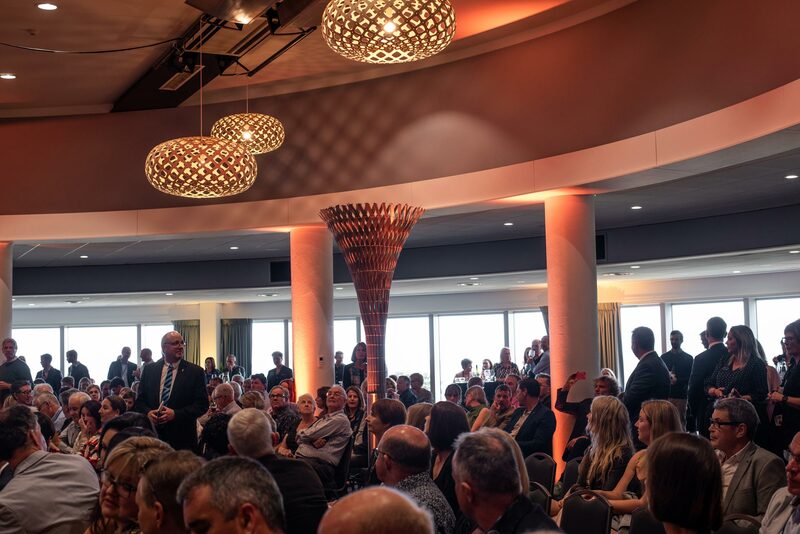 They believed there was a need for the regional wine industry to demonstrate its ability to be a contributing member of the community and to promote Hawke’s Bay wine to New Zealand. Cranford Hospice was approached with the idea of a charity wine auction and the rest is now history. On average, the auction has raised in excess of $100,000 annually, with a record $265,500 raised in 2018. The auction is supported by Hawke’s Bay’s wine industry providing wine lots at no cost. The event attracts those interested in the finer aspects of life, those that enjoy quality and recognise the importance of being associated with a high-end event, and ultimately a worthy community cause close to all our hearts. The relationship between Cranford Hospice and the wine industry has become more and more personal over the years the auction has been running. There is a very strong association among individual winemakers and producers with this event and wine auction lots are selected and submitted with a great deal of thought, consideration and generosity. Cranford Hospice has always been the sole beneficiary of the Hawke’s Bay Wine Auction. Hawke’s Bay Winegrowers Inc is the official wine industry organisation representing all wineries and growers in the Hawke’s Bay region. Formed in 2006, grower and winemaker organisations amalgamated to form one industry body to support the Hawke’s Bay wine industry to achieve international recognition as a sustainable and profitable world-class wine producing region. There are now over 70 winery members and more than 145 grower members. Raising the profile of Hawke’s Bay wine is integral to the organisation’s strategic plan, and is critical to the long-term future of the industry in an increasingly competitive marketplace. Promotional activities take place regionally, nationally and internationally. The Hawke’s Bay Wine Auction event is run under the Hawke’s Bay Winegrowers Charitable Trust.